At Pellpax, we’re very excited to be stocking the new Hortitsia and Kozak PCP air rifles from the Ukrainian manufacturer and wholesaler, Zbroia Company. 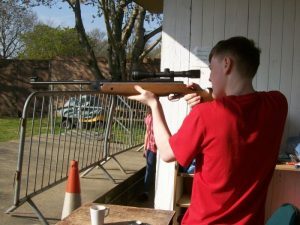 These elegant and distinctive air rifles have proved to be a popular choice for our customers, and so we thought it might be nice to have a closer look at the company that makes them. It’s worth mentioning that the Ukrainian language is very different from English, in that it is written with its own Ukrainian alphabet. However, the language is also represented by Roman script. ‘Zbroia’ is the Romanised, phonic representation of зброю, which is the Ukrainian word for ‘weapon’. Zbroia Company is based in Ха́рків (Kharkiv), Ukraine’s second largest city, after its capital, Kiev. Kharkiv was founded in 1654, close to the River Kharkiv, by people fleeing from the Khmelnytsky Uprising (also known as the Cossack-Polish War). The city is now a thriving centre of engineering industry, and is the home of 13 universities. Zbroia Company supplies its products to many different countries in Asia, Europe, Africa, and – as of this month – North America and South America. 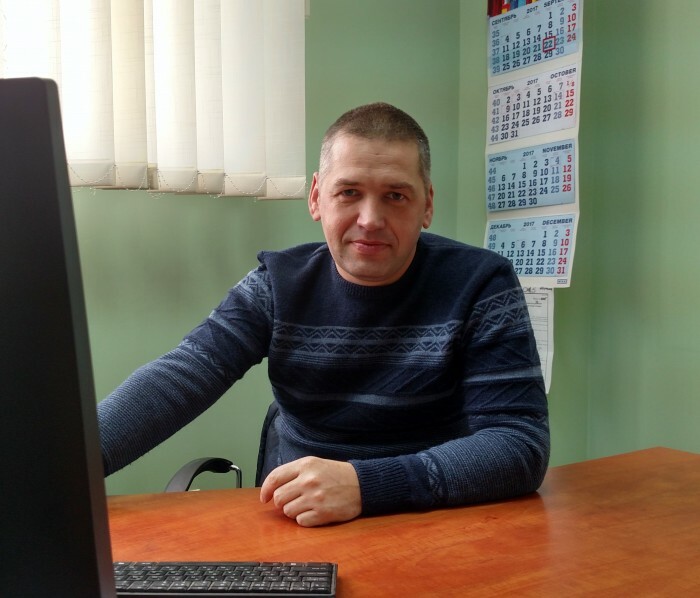 The person responsible for the export of Zbroia products is Andrey Zhylitsyn, a graduate of Simon Kuznets Kharkiv National University of Economics, faculty of management and marketing. Zbroia’s chief designer is Roman Kysylov. Roman graduated from the Ukrainian State University of Railway Transport, mechanical faculty, in 1998, and joined Zbroia Company in 2008. This highly talented mechanical engineer, who has 20 years’ experience in the design of firearms and pneumatic guns, and a life-long love of shooting sports, is the man responsible for the design of the Hortitsia and the Kozak. 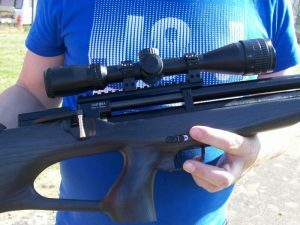 The козаки́, which we know as the Kozak, is of the bullpup design, with the gun’s action situated behind the trigger, decreasing the rifle’s overall length and weight, without compromising the length of the barrel. The safety catch, positioned on the side of the barrel, can be reached and operated without having to lower the rifle from the shoulder, enabling the shooter to fire shots in quick succession, with accuracy. This lightweight rifle is ideal for quarry shooting, where you might be manoeuvring among trees; it’s well balanced, has a sensitive trigger, and is very quiet, thanks to the built-in barrel shroud. The word козаки́ (kozak) is Ukrainian for ‘Cossack’. Cossacks were democratic, self-governing communities in Russia and Ukraine, who, in the 14th and 15th centuries, went into the steppes (grassland plains), turning their backs on serfdom and religious persecution. козаки́ (kozak) is a word from the Cuman language – a language that is now extinct – meaning ‘free man’. Cossacks have contributed greatly to Russian and Ukrainian history, serving in the militia, in eastern European conflicts, until the early 20th century. In times of war, the women of these strong, martial groups took on the roles of their absent men, ferociously defending their territory and providing for their communities. Хо́ртиця (Khortytsia), which is the largest island on the river Dniepro, was the home of the Zaporizhian Sich, one of the earliest and most powerful Cossack communities. The island of Khortytsia, now home to the Museum of Zaporizhian Cossacks, is a popular tourist destination, and has been a historical and cultural reserve since 1965. Khortytsia is, of course, the name’s sake of Zbroia’s Hortitsia PCP air rifle. The good-looking and relatively light-weight Hortitsia has delighted so many Pellpax customers, and we, in turn, have been delighted by the positive feedback. Like the Kozak, the Hortitsia has an integrated barrel shroud for very effective silencing, a sensitive trigger, and smooth probe engagement. 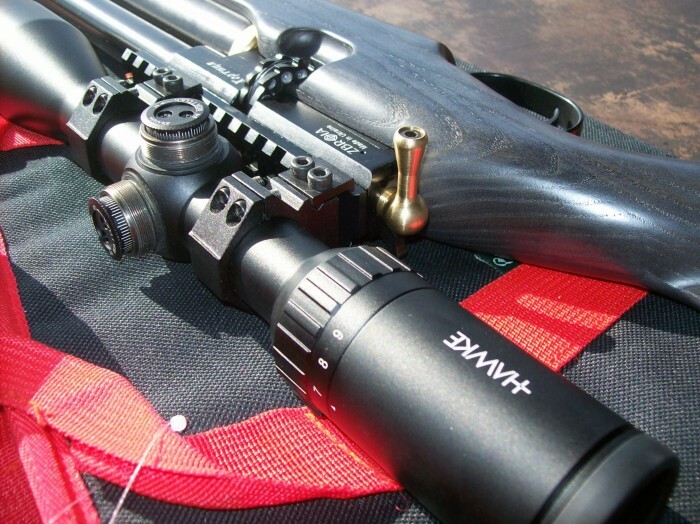 Both models are available in .177 and .22 calibre, and with a short (330mm) or long (450mm) barrel. I’m sure that when that opportunity arises, Andrey will receive a very warm welcome.